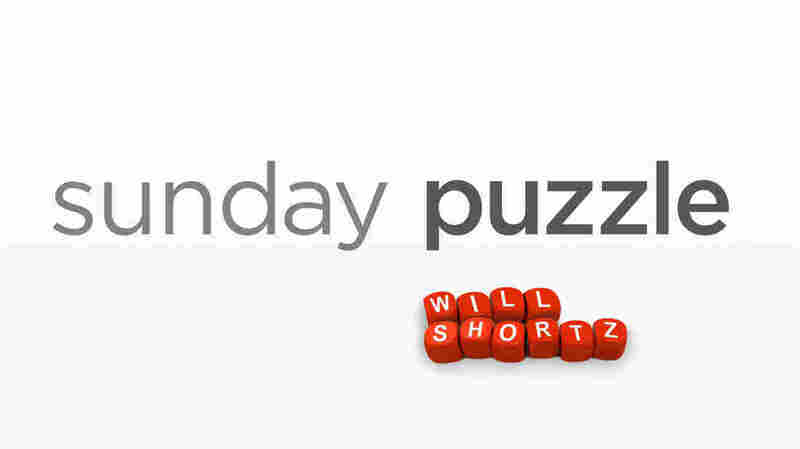 Sunday Puzzle: Solve This Case NPR's Lulu Garcia-Navarro and Weekend Edition Puzzlemaster Will Shortz play a word game with WDET listener Elliott Shevin of Oak Park, Mich.
On-air challenge: Today's puzzle is based on the names of famous writers of mysteries, crime fiction and spy novels. Their last names have been anagrammed. You name the writers. Last week's challenge: This challenge came from listener Alan Hochbaum, of Dunwoody, Ga. Name a popular restaurant chain in two words. Its letters can be rearranged to spell some things to eat and some things to drink. Both are plural words. What things are these, and what's the chain? Winner: Elliott Shevin of Oak Park, Mich. This week's challenge: This challenge comes from listener Hugh Stoll of Harrisonburg, Va. Think of a 4-letter word for something commonly seen in the winter. Write it in lowercase letters. Turn it upside, and you'll name a device you use with this thing. What is it? If you know the answer to next week's challenge, submit it here. Listeners who submit correct answers win a chance to play the on-air puzzle. Important: Include a phone number where we can reach you by Thursday, March 14 at 3 p.m. ET.